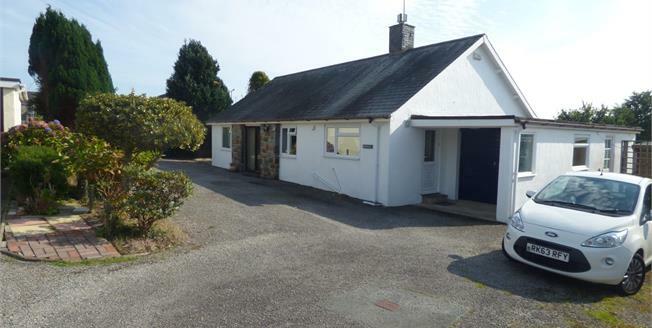 Nestled in the corner of a private Cul-de-sac viewing is highly recommended to appreciate this detached bungalow. Merrill boasts mains gas central heating heating and double glazed windows and is in good decorative order, the accommodation comprises of entrance hall, fitted kitchen/diner, lounge, modern shower room and three bedrooms with some built in storage cupboards. A particular feature is the private external areas approached by a shared drive leading up to the front elevation offering ample parking with gardens to both side and rear of the property with mature trees and hedge boundaries. The garage has currently be separated into two rooms (partition wall) with power and light connection, sink and separate W.C.